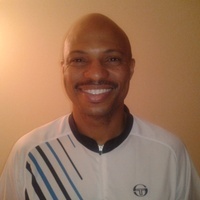 I have had over 30 years experience in tennis, and I am passionate about teaching the game! I focus on simplifying the game, and making learning it fun! I am also a NASM certified personal trainer, so I give exercises to help players get in better shape for tennis. I have taught all ages, but most of my training and experience has been in teaching juniors. This includes teaching for the JTCC in College Park, Maryland. Amaate can recommend a location or come to any court inside the highlighted service area below.